Microsoft is currently making a huge investment in a new style intranet, Microsoft Teams. An intranet is a private network accessible only to an organization’s staff. Generally a wide range of information and services from the organization’s internal IT systems are available that would not be available to the public from the Internet. A company-wide intranet can constitute an important focal point of internal communication and collaboration, and provide a single starting point to access internal and external resources. So where do we find all these things in Microsoft Teams? Internal team sites, External team sites, Project sites could all be implemented with a team site. With some of these you could even enable external guest access. Of course the out of the box team will not be good enough for project sites that require project plans etc. Well you could of course always use apps within Microsoft teams like planner. 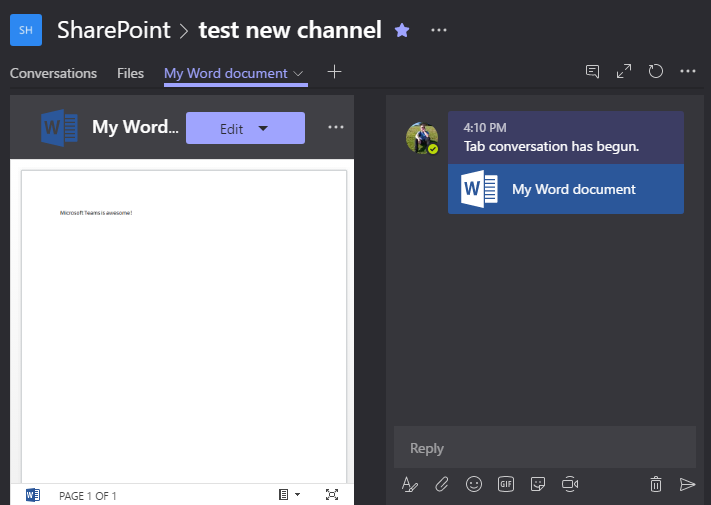 Also connections to application like Visual Studio could help deliver backlogs directly in Microsoft Teams. Additionally you could also consider Bots to be a knowledge base. So for example the Emojify bot that could help you translate plain English into Emoji language. Rather than using yammer, Microsoft Teams has conversations. these conversation can be chats with a colleague or multiple colleagues and they can even be directly related to a document. Form within each people card you can then find people’s contact details. Well company news could be added to a team that included your whole company? Maybe this could simply be a public team, so that you don’t need to maintain the users. So the list is getting smaller and maybe it is time to consider, did we really need those clutter web part? Or were we scared of that empty home page? If you want some help implementing your new modern intranet? Feel free to leave a comment below. You know, I hadn’t thought of these parallels before. I wouldn’t designate Teams as a knowledge base, but it certainly does perform many collaborative functions like an intranet. Good thinking! Anyone attempting to redevelop their intranet using Teams should be VERY careful and it simply WILL NOT WORK for many organisations, Teams is not an intranet replacement. It does perform many useful functions that traditional intranets have tried (and often failed) to do around collaboration, however Teams offers the total ‘democratisation’ of content/information management which will just make findability much harder if you just launch Teams without any thought to the wider picture. Intranet technology and governance is different to Teams because its core focus is to strike a balance between devolution of information management whilst maintaining a coherent information architecture. Teams totally ignores this balance. Intranets are also powerful internal communications tools and many organisations still require a top-down approach to corporate comms. Intranets allow proper control of this whilst also providing bottom-up tools alongside, whereas Teams would be a total free-for-all. Sharepoint Online is still the place to create intranets, as it offers the above as well as providing integration capabilities with Teams and also the ability to create application-based tools which support business processes, and integrating them into the content that the intranet provides. Hi Rory, I totally agree that there is still a place for the traditional intranet. Especially the bits that I would implement with publishing/communication pages etc is still something that the classic intranet does better than teams. However the collaboration part of the intranet is something that could completely move towards teams. It is a bit like does teams replace the internal use for email or messaging in Skype for Business? Personally I still like to send out emails as people at the receiving end are more used to Outlook than Teams. But does that means that I could do without Outlook and just use Teams? Maybe. Anyway back to the intranet vs. Teams discussion. I see a major move towards Teams and more and more people moving away from their traditional uses of SharePoint, making Teams to front end to SharePoint.